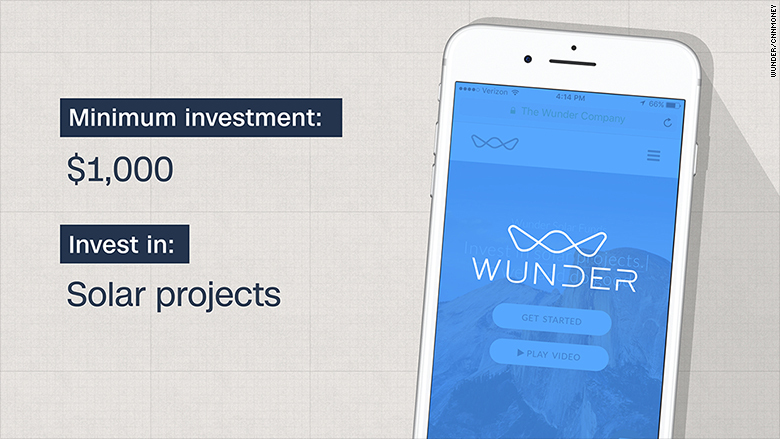 Wunder Capital has two investment options, both with a minimum investment of $1,000 -- the Wunder Term Fund and the Wunder Income Fund. The Term Fund provides loans to U.S. businesses that are switching to solar energy. Wunder Capital projects an annual return of 8.5% for this fund. The Income Fund has a projected 6% annual return. Through this fund users can invest in operational solar projects that are powering businesses in the United States.